Welcome to the Tri-State Pools website! 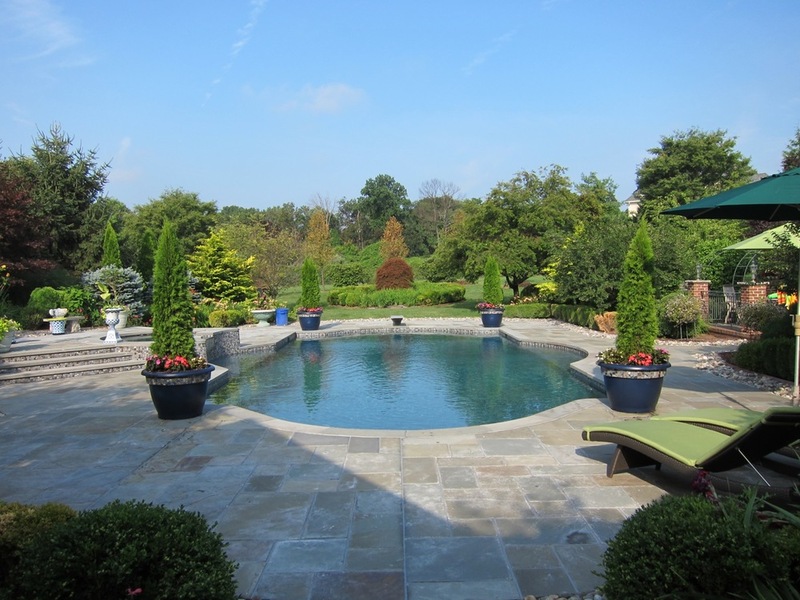 As you begin to explore the process of renovating your pool or building a new custom concrete pool, we have provided information that will be helpful in answering your basic questions. We would love the opportunity to speak with you personally about your project. Just give us a call or click Consultation Request at the menu above. THANK YOU FOR VISITING & CONSIDERING. Call or click today to request your FREE consultation. We will visit with you poolside to evaluate your pool's condition and make recommendations. Company Owner, Dan Schneider will discuss all of your options and take measurements to provide you with a detailed Quick Quote™. Most consultations take about 30 minutes. We will email you our detailed Quick Quote™ and follow up with a hard copy sent to your home. In most cases you will receive the emailed quote the same day as your consultation. That’s why we call it the “Quick Quote”! We are always available by phone or email to answer any questions you may have regarding your renovation Quick Quote™. Dan highly recommends that you take advantage of our Wayne, NJ showroom to sit with him, review the quote and see all of the beautiful products & materials that we have to offer. Showroom consultations are available by appointment throughout the week. We can also do Saturday or evening appointments upon request. - With our computerized FastTrack™ scheduling program, we can give you an accurate "on or about" schedule date. Just call or email us that you would like to place your order. We will promptly provide a date. - Once your verbal order is placed, we will quickly (same or next day) send you contract documents via email through our DocuSign™ electronic system. - As soon as you complete the e-sign, you can quickly secure your position on our production schedule by paying a small $500 deposit through our WePay™ electronic payment system. Call or click today to request your FREE consultation. We will visit with you at your home to evaluate your backyard and make recommendations as to the pool location, size, features, etc. Company Owner, Dan Schneider will discuss all of your options and present and review our “New Pool Construction Guide" . Most new pool consultations take about 60-90 minutes. We will email you our detailed Custom Pool Proposal. Hard copy will also be sent to your home. We are always available by phone or email to answer any questions you may have regarding your new pool Quick Quote™. Dan highly recommends that you take advantage of our Wayne, NJ showroom to sit with him, review the quote and see all of the beautiful products & materials that we have to offer. Showroom consultations are available by appointment throughout the week. We can also do Saturday or evening appointments upon request. - If you would like to proceed with contract and project scheduling, please notify us ASAP by phone (973-638-1000) OR email. - Once we are notified that you would like to proceed, we will place your project on our production schedule with a tentative "on or about" schedule date, subject to permits being issued by your town. - With our computerized FastTrack™ scheduling program, we will give you an accurate "on or about" schedule date. Just call or email us that you would like to place your order. We will promptly provide a date. - As soon as you complete the e-sign, you can quickly secure your position on our production schedule by paying a small $1,500 deposit through our WePay™ electronic payment system. Click, click and done! - Once the contract is signed and deposit is received, we will begin the process of plan design & review. The final plan will be submitted to you for approval. We will also begin the permit application process with your town.